I heart post: Life, the Universe and Everything: Sunday Stamps. 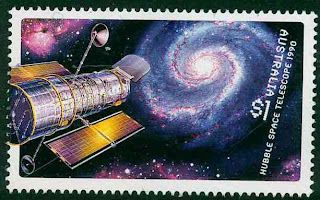 Life, the Universe and Everything: Sunday Stamps. This week saw Venus make its transit across the sun, an astronomical event which will not occur again until 2117. I didn't view the event, but I feel like this week there was all sorts of big things going on in my personal universe, so I feel like I felt it - if that makes sense. Basically the transit coincided with my housemate telling me she was moving out... and an old high school friend advertising a room for rent. In 24 hours I became effectively homeless, and then suddenly with a new postcode on the hipster side of town. I am very excited. Anyhow. Onto the topic at hand. 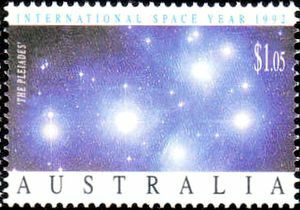 Sitting in my album alongside the above really beautiful astronomical photographic stamps, I have the following stamps which depict milestones in space exploration. The series was released in 2007 and was titled "Blast Off! 50 years in Space". Although they kind of look like they have been drawn to illustrate a B-grade children's sci-fi show, upon much consideration I have decided that I do in fact quite like them (perhaps because I have a predilection for anything sci-fi). For fun, here is the NASA video of the Transit of Venus, which is quite spectacular. Enjoy. Although I'm showing nothing today I'm glad I decided to check what others were posting. You have shown us a series of great stamps all well worth collecting. 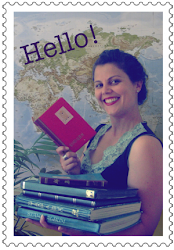 All these stamps are wonderful!! 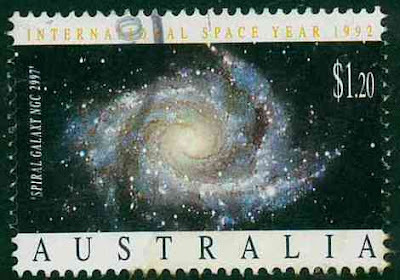 the spiral galaxy one has such detail for a samll image. Good luck in your adventures,a dn hope you are doing well. 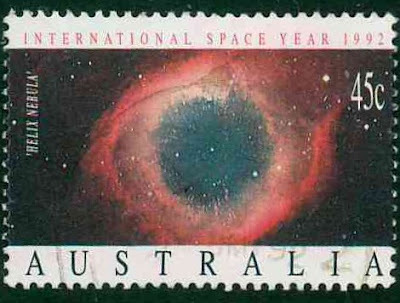 I rather like those 'blast off' stamps, too. It is neat that you have to keep turning them around to read each bit right side up. the video was very cool. The stamps are really superb! I think the 1992 series is particularly impressive.